Hi, My goal is to create a plugin that will build maven project with some custom settings. 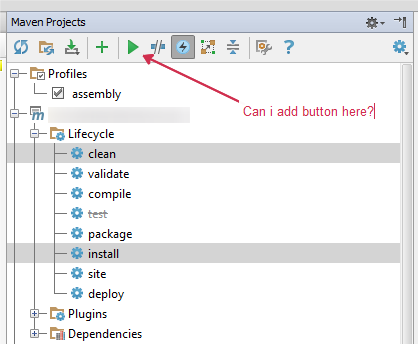 Can i, for example, choose a couple of goal and press my button to build the maven project with my settings? If it is not possible can i add this action to right mouse button context menu or should i implement my own maven plugin? Maybe there is some other, more beuty way of doing this with actions or somehow? By the way, we'd appreciate it if you didn't cross-post the same question to the plugin development forum and StackOverflow.